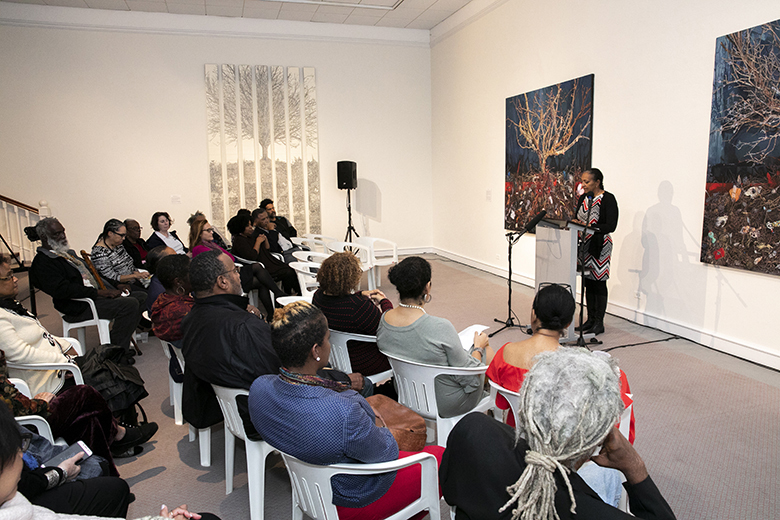 Yesterday evening [Feb 6] at the Bermuda National Gallery, Minister of Labour, Community Affairs and Sports Lovitta Foggo attended a reading by Bermuda’s 2019 Writer-in-Residence and guest author Andrea Stuart, with the Minister providing brief welcome remarks at the event. Ms Stuart’s first book, Showgirls, was published in 1996 and was adapted into a two-part documentary for the Discovery Channel in 1998 and has since inspired a theatrical show, a contemporary dance piece and a number of burlesque performances. Her second book, The Rose of Martinique: A Biography of Napoleon’s Josephine, was published in 2003. The Rose of Martinique won the Enid McLeod Literary Prize in 2004. 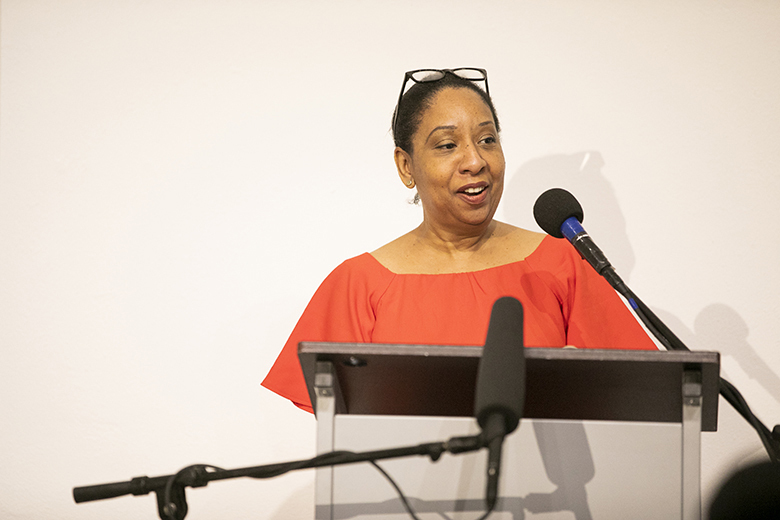 Her third book Sugar in the Blood: One Family’s Story of Slavery and Empire was published in 2012. It was shortlisted for the BOCAS Literary Prize and the Spears Book Award and was the Boston Globe’s non-fiction pick of 2013. She has been published in numerous anthologies and her articles have been published in a range of newspapers and magazines.